Your email list one of your most valuable business assets. It’s essential to building a close relationship with your audience. I can help you design and implement automation emails, welcome emails, and supportive monthly campaigns that engage and convert subscribers, as well as drive traffic to your website. I’ll help you design personalized emails that reach your customers with the information they need (and want), exactly when they need it. Once all the paperwork is out of the way, we can get started! I send all my clients a creative brief to help me fully understand your business goals, ideal customer, and desired aesthetic. With your insight, we can start brainstorming a creative direction tailored to you. From there, we can have a kick-off meeting so we are clear on strategy, direction, and desired outcomes. At this stage, I like to explore inspo, possible colour palettes and typography combinations that I feel would fit with your aesthetic vision. I'll start by drafting a mood board that embodies your project. I always get sign-off from you before I start designing fully-fleshed email designs, to ensure that the creative is aligned with your expectations. After we’ve polished off the finishing touches, I’ll hand over all completed design files so that you can implement and maintain all assets yourself if needed. This exciting step brings the fruits of our labour to a tangible result. Time to celebrate! This is the part where you can sit back and relax. Once we agree on a visual direction, I'll work through sweating the details. 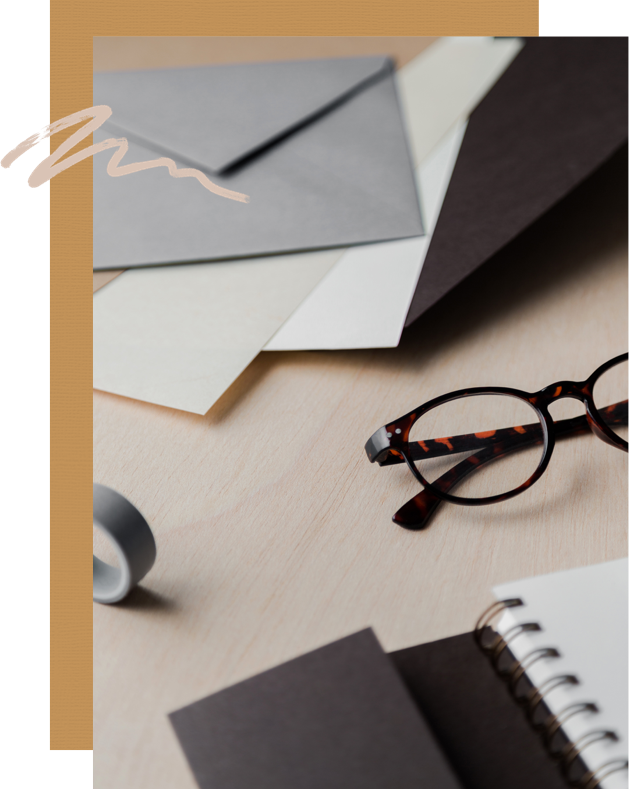 Whether you are starting fresh with email marketing or already have a list, I’ll help you create designs that are enticing and engaging. First, please contact me with any details about your project – timelines, budgets, and how many emails you need designed. Once we agree on scheduling and all contracts are signed, I can book you into my calendar. I charge a flat-rate per project for all my services. Pricing can greatly fluctuate depending on client needs and number of hours of work required. Please contact me for more details. Do you offer retainer email design services? Of course! If you need ongoing email design work, I charge per month based on an estimation of how much work is required on a monthly basis. For this option, I require a minimum 3-month commitment. Think we’d be a good match for a design project?